Are you having difficulties in trying to fit into the jeanse you bought a year? Is belly fat giving you trouble sleeping? If it is so then you need to implement some changes in your lifestyle to achive it. Stomach fat can lead to negative effects to your health. For sure, belly fat does not look good. So, you should make some changes. But the more crucial reason for you to do is, is its long-term effect to your whole health. That is why this article will be useful for you. 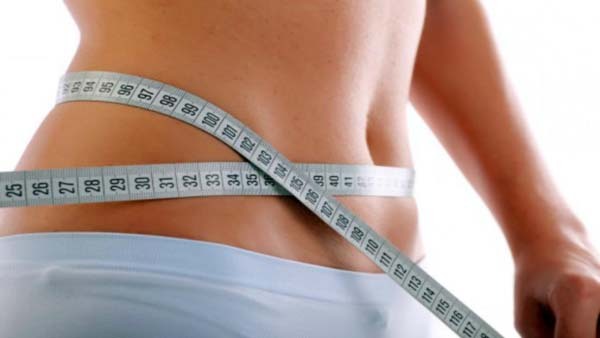 Here you will find the reason why you may not be losing belly fat. The best approved way to lose stomach fat is exercising. If you are really enthusiastic about losing weight, you may need to put in an hour of exercise in your everyday program to aim and reduce belly fat. There are some great fat burning ab-excercises and in our article we’ll show you 16 simple excercises you can do at home. And just in a few days you will see how effective they are. You will reduce your belly fat naturally. Nothing burns belly fat easier than crunches. Crunches, up to the experienced fitness experts, occupy the top rank among fat-burning exercises. It is about time you start including abs-crunching exercises to your daily routine. Lie down flat with your knees bent and feet on the ground. You can also lift your legs off the floor at a 90-degree angle. Lift your hands and put them behind your head, or keep them crossed on your chest. Inhale and exhale in an appropriate way – inhale deeply, and as you lift your upper torso off the floor, exhale. Do this for 10 times at the very beggining beginner. Repeat this set two or three times. Just not to hurt your back while performing crunches, instead of entering the full sit-up position, just raise your back a few inches from the ground. This will ensure you not to hurt yourself while doing this exercises. Anather precaution – don’t jerk your head forward while doing crunches. This will put pressure on your neck and causes pain. Just hold your hands above your head and do the exercise. Do not sit up straight. Your back should be on an angle of 30-40 degrees with the ground. This is to feel pressure only on your abdominal muscles. This is a modification of regular crunches. To do this exercise you should get used to the regular crunches, modify the basic crunch to get an even more effective tummy exercise. Lie down on the floor with your hands placed behind your head. Bend your knees in order to do in crunches, keeping your feet down on the flat. You ought to lift your upper torso while performing crunches. But, in twist crunches, you need to lift just your right shoulder towards the left, keeping the left side of your torso on the floor. Again alternately, lift your left shoulder towards the right, keeping the right side of your torso on the floor. Try to repeat them 10 times. This is almost the same as the twist crunch exercise. The only difference is that you should tilt your legs to the same side simultaneously with your shoulders. The side crunch adresses on the muscles on your sides. Make sure you do the exercises steady and slow. The midsection could hurt if you perform the twists in a hurried manner. Now it’s turn to do reverse crunches. This is another useful exercise to reduce belly fat. This is almost the same to the twist crunch exercise. The only difference is that you need to do this by tilt your legs behind simultaneously with your shoulders. The side crunch focuses also on the muscles on your sides. Keep your back straight while performing the exercise, as arching it can result in painful reaction of the body, and in some cases, even injury. Lie flat on the floor, or on the mat, with your legs extended upwards and cross one knee over the other. Now that you have positioned your body in a correct way, do the same as you would have done in the case of crunches. That is, breathe in and lift your upper body from the floor towards the pelvis. As you bring yourself down, breathe in again, and exhale when you go up. No, it is not nevessary to have a bicycle for this. Thinking how you can do this? Lift both your legs off the floor and bend them at the knees. Bring your right knee close to the chestand keep your left leg away. This is an exercise for beginners who aim at redusin belly fat as quick as possible. Lift both your hands in front of you, aligning them with your shoulders and keeping them parallel to the floor. Take a big step forward with your right leg, and sit down as if on a chair so that your knees make a 90-degree angle with the floor. The left leg should be positioned backwards, supported by the toes. Twist your torso to the right and then to the left. The rolling plank reffers to the muscles around your abdomen, hip, and lower back. Position yourself on the ground with your knees and elbows resting on the ground. Keep your neck aligned with your spine. Do not forget to look forward. Lift the knees up and keep your legs on the toes. Bend your knees and keep breathing normally. This is the plank pose. Try to stay in this posture for 30 seconds. Support yourself on your right elbow and right leg. Your elbow should be perpendicular to the shoulder, and the left leg should be above the right leg. Keep them all time together. Keep your knees straight. Your hips should not be touching the floor. You may hold this for one to two minutes if you find it comfortable for you. While you are in this position, you may also lift the leg on the top and bring it down again. This makes the exercise more effective – it works not only your abs, but also your thighs and hips. Plank is a strenuous exercise, and you may feel like holding your breath while performing it. But avoid doing that, as you might suffer from nausea or dizziness. Stomach vacuum exercises are low-impact workout that put greater emphasis on breathing instead of increasing your heart rate. a. This is similar to what we call the cat stretch pose. This is also known as the four-point, transverse-abdominal stomach vacuum. Go down to the flooron all fours, supporting your body on your hands and knees. b. Another type of stomach vacuum exercise is elevators. Breathe out using your mouth and simultaneously push your belly towards your spine. It is just like you are going up to the fifth floor. c. You can try standing pelvic tilts. This is another variation of stomach vacuum exercise. Stand with your legs hip width apart and contract your knees slightly. If you are suffering from any heart or lung ailment, it is best not to do this exercise. This exercise must be done only on an empty stomach, as doing otherwise might lead to indigestion. All you need to do this exercise is only a single chair. Sit on the chair with your spine straight. Relax your shoulders. As you exhale, bring both your legs upwards such that your knees are near to your chest. Hold for five seconds. Don’t bend forward and arch your back. Bring down your legs in a slow manner and repeat this movement. This is yet another very useful workout for reducing belly fat. Stand upword with your feet together and keep your hands to the sides. Keep your legs on the ground, bend your body to the right as much as possible till you feel a strain on your left waist. As you do so, be sure your right hand is on the right hip, and the left hand is raised upwards. Stay in the posture for 15 seconds. Now contract to the left, and retain the position for another 15 seconds. Slowly, you may continue doing this exercise to 30 seconds. Cardio is one of the most effective ways to burn calories and decrease extra fat. Cardio workout is extremely helpful in loosing belly fat. Doing cardio workout on a regular basis will offer you additional health profits such as stress relieve, this will also increase your lung capacity, will lead to better sleep, and a sense of health and mental well-being. One of the most crucial cardio exercises to lose belly fat is walking. Surprised? It is as simple as it is effective. Well, then you you will be totaly surprised that walking is a great and effective way to decrease that belly fat. In fact, it is an perfect fat burner for your entire body. If you combine a healthy diet together with walking at a steady pace for 30-45 minutes for at least four to five days every week, you will witness a gradual decrease in your weight. This low-impact exercise increases your metabolism as well as your heart rate. A heightened metabolic rate will burn away calories at a faster pace, thus helping to eliminate the fat accumulated around your belly. 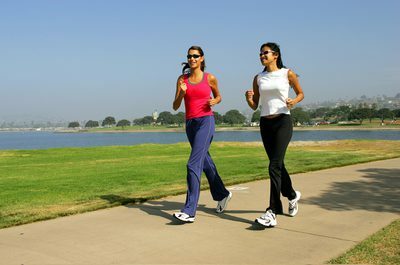 In fact, walking decreases the risk of injuries and is considered to be a good workout for beginners. Running is the best way to prevent your body from getting used to any fixed workout routine. Hence, you can switch occasionally. Try running for a overal wee-being. It is an extremely effective way to keep your heart rate up, burn calories, and be fit by losing belly fat. Jogging is a good alternative if you do not like running. Research suggests that jogging is more effective in decreasing fat when compared to weightlifting. This is a form of aerobic workout that is extremely useful for fighting obesity and staying fit. This is another practical and useful cardio exercise that helps you shed belly fat by burning extra calories. Ensure that your heart rate goes up while you are cycling. 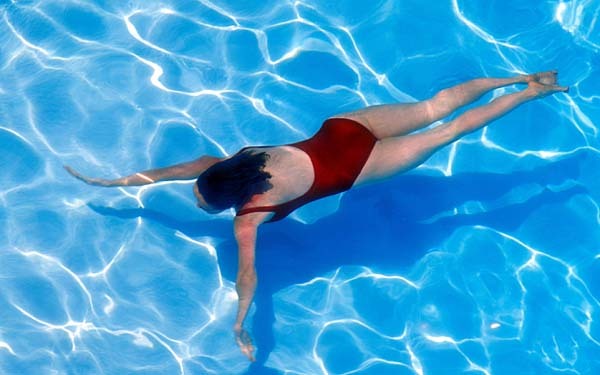 By swimming, you get the benefits of cardio – from burning out extra fat to achieving health and mental well-being. The strokes you choose to practice should be up-tempo and strenuous in order to help you lose more calories. You can by swimming once or twice every week.